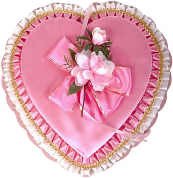 "Love makes the world go round," and Valentine's Day sends most us around the world looking for the perfect gift or card for that special someone we call sweetheart. Where did Valentine's Day originate anyway, and what's so special about February 14th? Do you know? Find out by answering these Valentine trivia questions. There's a free printable version of this trivia available for anyone who takes a moment to share about the most romantic gift they have ever received (see below). And for those who cannot get enough of Valentine trivia there are extra printable Valentine related trivia games available through Party Fun Printables and Print Games Now (see below). 01. What famous actress was born on February 14? 02. What famous actor was born on February 14? 03. 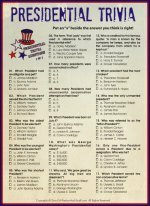 What historical event transpired on Valentine's Day in 1950? 04. Who wrote the lyrics to "My Funny Valentine"? 05. What type of movie is the 2001 film "Valentine"? 06. In what year did Hallmark makes its first Valentine card? 07. Where was the first Valentine's Day card sent from? 08. What conversation heart saying was added in 2005? 09. Approximately what percentage of Valentine’s Day cards are purchased by women? 10. Who was Cupid's father? 11. Who was Cupid's mother? 12. According to mythology, what was once celebrated on Valentine's Day? 13. 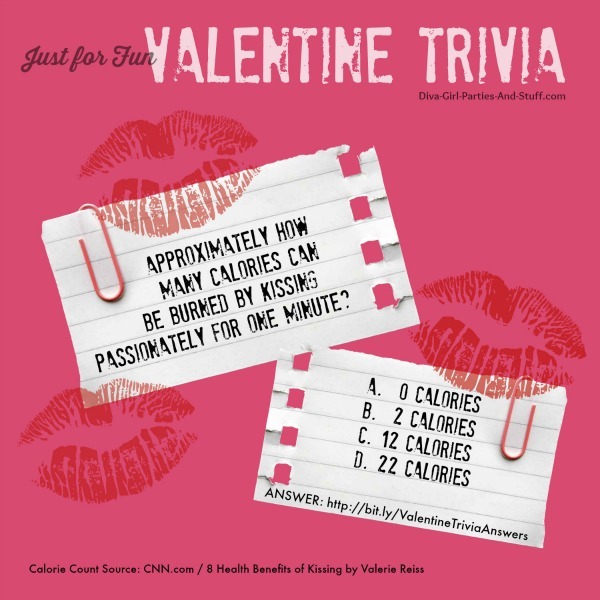 Approximately how many calories can be burned by passionately kissing for one minute? 14. According to statistics, in what profession do people receive the most Valentine's Day cards? 15. Since the 1950s, how has Valentine's Day been customarily celebrated in Japan? 16. What Italian city receives thousands of cards addressed to Juliet every Valentine's Day? 17. According to Roman mythology, what liquid that spilled by Cupid caused roses to grow? 18. What were Esther Howland's valentines known for? 19. In what country's museum can you find the oldest known Valentine still in existence? 20. In Shakespearean times what bodily organ was associated with love? For a FREE Mini Valentine Pencil Puzzle Ebook, , tell us about the most romantic gift you ever gave or received by filling in the form. 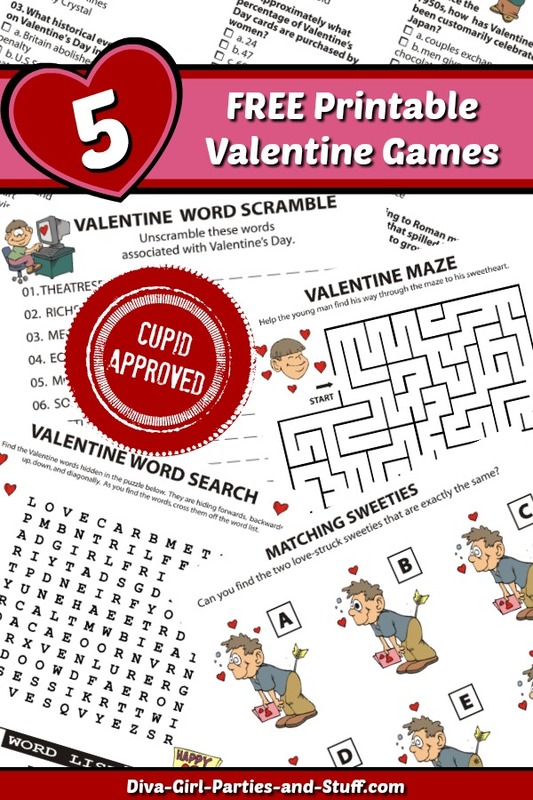 Ebook includes a printable version of the above Valentine Trivia, along with four other printable valentine games. I have photos I wish to submit with my entry. By submitting my ideas, I grant diva-girl-parties-and-stuff.com and myvirtualpartyspace.com the right to use and/or publish my ideas on their website, in ezines and articles, and/or in ebook format.